Threadgold Architecture is committed to Environmentally Sustainable Design and has immediate access to the Environment Design Guide, published by the Australian Institute of Architects, throughout A+ membership with the Institute. The practice values cutting-edge sustainable building design and delivers outcomes through continuing professional development, utilising Environment Design Guide and Green Building Council of Australia (GBCA) membership. Stuart has GBCA greenstar industry training and maintains a sustainable approach throughout the design process. This approach considers climatic factors which inform spatial layouts to achieve passive solar design principles and a material assessment across the building’s life-cycle, which includes; durability, embodied energy, environmental impact and toxicity to inhabitants. The most cost effective way to generate energy saving solutions is correct planning and orientating a building with the diurnal movement of the sun. Passive solar design solutions in an appropriately proportioned massing of a building and through coherent layout of spaces within the building envelope. For the southern hemisphere, north facing building elevations should be screened to regulate the natural light while excluding the radiant heat and western and eastern elevations should be limited in overall size and shaded to avoid building heat gain. Internal screening such as louvres or blinds can also improve of glazing elements with low R-Values if other alternatives such as low e glass cannot be employed. The design should consider cross ventilation as a natural mechanism of cooling habitable spaces prior to costly mechanical alternatives. These principles have been legislated through the adoption of National Construction Code in each Australian state. A building’s on-going running costs can be greatly reduced by the correct placement of fenestration in the building design and specifying energy efficient light fittings with lighting controls at switch points. If natural lighting is maximised by considered and coherent building orientation and shading devices – there is less need for occupants to consume artificial lighting during daylight hours. Motion detectors can also be specified to boost energy efficiency by switching lights off automatically. Every building element that is specified will have an impact on the overall energy efficiency of building. Obviously, hot water service delivered utilising a solar hot water unit or heat pump will have less energy consumption than an instantaneous gas unit. Air conditioning units that utilise an economy cycle mode of operation, whereby, outside air is used to satisfy internal zone cooling demand, when outside air temperatures are suitable, will reduce energy consumption of the air conditioning chiller. Equally, water wise fixtures and fittings (including reticulation) will also reduce reliance mains supply and therefore reduce a building’s monthly running cost. The community is becoming increasingly educated and sophisticated of the built environment which they inhabit and are demanding change in building design to achieve more energy efficient houses – thus placing greater expectations on Perth architects and designers in accord with concerns over climate change. The market now requires residential and commercial buildings to use less materials and services during the lifecycle of a building. Sustainable architecture is becoming more desirable for building owners through the economics that it delivers. 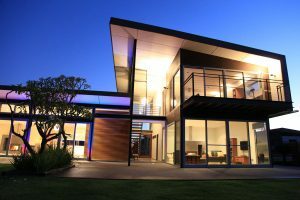 Perth architects and designers increasingly need accreditation tools to distinguish between varying levels of sustainability performance in energy efficient houses. Ecospecifier is an on-line resource database for Perth architects and designers, providing in excess of 6000 eco materials, eco products and sustainable design technologies for incorporation into the building design during the concept or sketch design stages. eTool is predominantly used and designed by engineers for the building design life cycle assessment eTool is initially offered free for education purposes and also through subscriptions to Perth architects and designers. Good Environmental Choice Australia is an Australian independent and not-for-profit organisation which provides a multi-sector eco labelling program for products and services. The organisation provides an on-line search tool, conveniently summarised into categories for easy searching and specification – a great tool for Perth architects and designers. Greenstar is an assessment tool which is a national and voluntary sustainability rating system that evaluates building design and construction which is administered by the Green Building Council of Australia. The Green Building Council of Australia also administer voluntary sustainable design training to Perth architects and designers through voluntary certifications. NABERS is a national energy efficiency rating system to measure the environmental performance of residential and commercial buildings. The software was developed as an initiative of the Australian Government with courses being offered nationally. NABERS provides four tools; NABERS Energy, NABERS Water, NABERS Waste and NABERS Indoor Environment, for Perth architects and designers to measure a building’s impact on the environment. Achieving a minimum 6 star energy rating using a software tool accredited under NatHERS, and complying with certain National Construction Code stipulations for energy-saving features including building sealing. Complying with Deemed to Satisfy elemental provisions listed in the National Construction Code – which is prescriptive levels of energy efficiency materials to be designed into a dwelling (ie insulation and glazing). 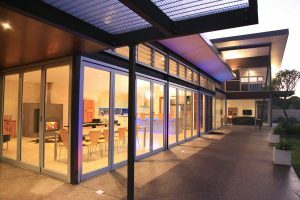 The Australian Passive House Association is a national organisation, based in Melbourne, which is primarily focused on achieving naturally energy efficient houses; with the aim to achieve 90% energy savings in heating and cooling during seasonal temperature fluctuations. 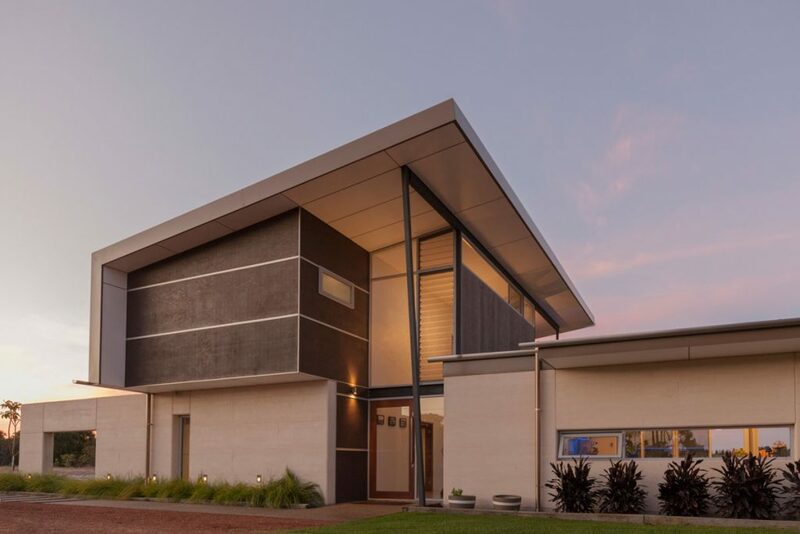 The organisation is established internationally and provides membership and training in passive solar design to Perth architects and designers. Passive House Australia also provides the Passive House Planning Package software to members to ensure Perth architects and designers achieve energy efficient houses.